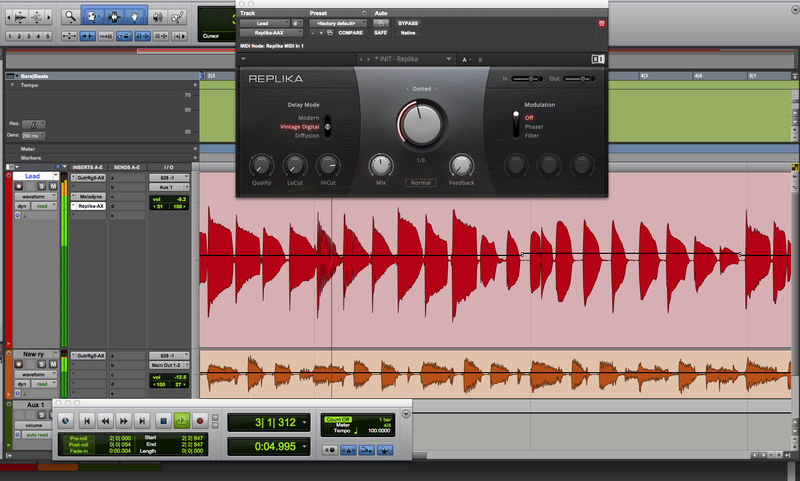 Digital delay is one of the most versatile effects you can apply to your music. It can do everything from subtle doubling to crazy stereo ping-pong effects and a lot more. In this article we’ll show you five cool delay techniques that you can use to spice up your recordings. 1. 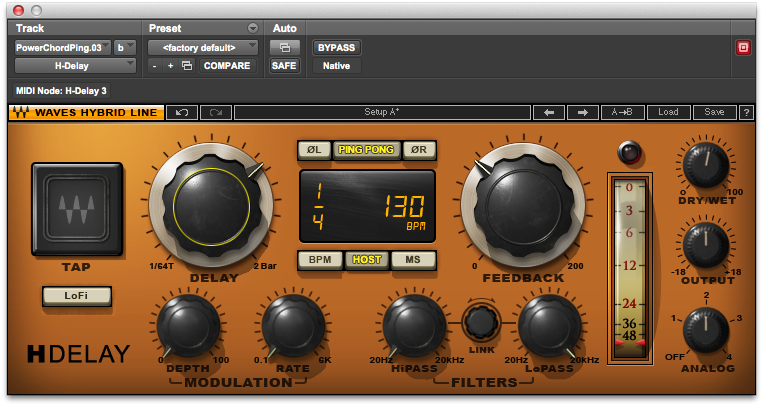 Insert a delay plug-in on a stereo auxiliary track. Set an unused bus as its input. 2. Set the delay to 100% wet, and the delay time to a quarter note (you can vary it if you want, but this is the standard kind of setting for this type of effect). You can set it to delay evenly on both sides or to ping pong. 3. Adjust the feedback so that you get as many repeats as you want. 4. Create an aux send on the track you want to delay, using the same bus as you chose for the aux track. 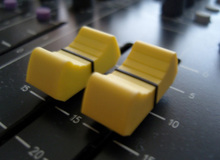 Adjust the send or the aux channel's fader to adjust the level of the delays. 5. Use your DAW’s automation to turn off the bypass just a hair after the last word ends on the waveform display. Yes, after. If you put it before it will delay more than just that last word. You’ll have to play around with the timing of this to get it sounding as smooth as possible. 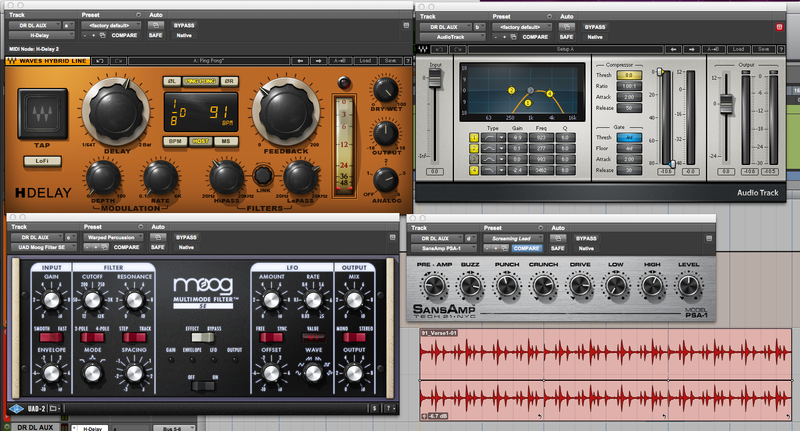 There’s no rule saying that you can’t process the output of a delay plug-in with other kinds of effects. 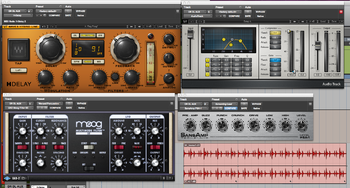 Many delay plug-ins even have other effects (most often modulation) built in. 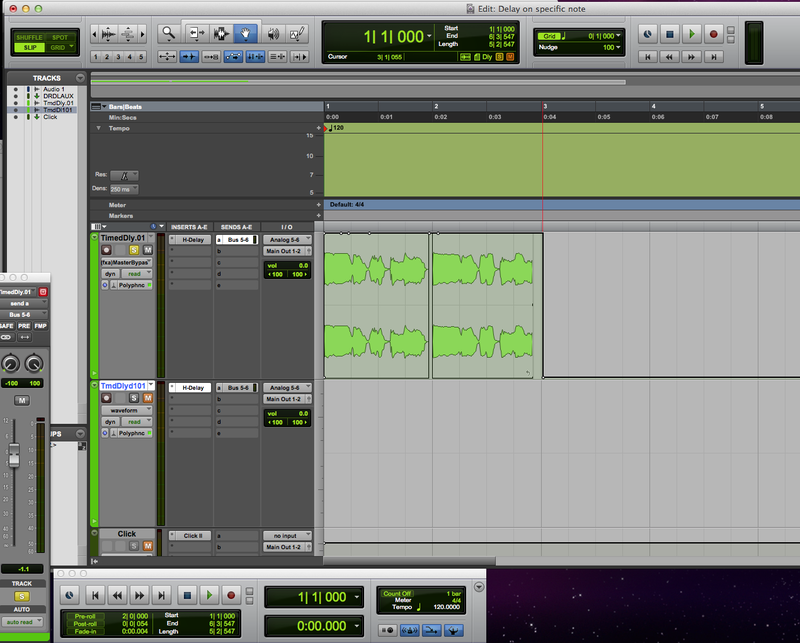 In this example, we’ll do the processing from other plug-ins inserted after the delay. Unlike in the one-word delay described previously, you want to use an aux track, rather than inserting the delay directly on the track. Why? Because you want those other effects to modify the delayed signal only. Because of the architecture of an aux effect — it works on an aux send, which sends a copy of the signal from the original track to the aux effect — you typically set the delay, reverb, or whatever effect you’re using at 100% wet. Therefore, whatever you process the delay with will only be affecting the delayed signal. 1. Create an aux track, and select an unused bus as its input. 2. Create a stereo aux send using the same bus number, on the track you want to delay. 4. Insert other effects (modulation, distortion, etc.) after the delay in the aux track's inserts. In this particular example, I processed the drum loop with a Waves H-Delay set to a ping-pong setting with the delay time synced to the host and set to a dotted eighth note. The output of the delay went into a Waves Audiotrack channel strip whose EQ section was set to a telephone effect (i.e., everything filtered out but upper midrange), then into a Sans AMP PSA-1 plug-in for distortion, and finally a UAD-2 Moog Filter SE for a filter effect. Not only did I impact the rhythm of the drum part with the delay, I made the delayed signal sound very different from the dry drums. This technique is great for creative mix effects on all kinds of instruments. Sometimes you have a track in a mix that feels too dry, but using a lot of reverb or even a standard delay on seems too wet. Here’s a method that puts a very subtle delay onto the opposite channel in a stereo mix, giving your track some width and ambience without sounding particularly effected, especially if you keep the “ghosted” signal pretty low. 1. Create a mono aux track, select an unused bus as its input. 2. Create an aux send on the instrument or vocal track you’re delaying, using the same bus number. 3. Insert a mono delay on the aux send, set to a sixteenth note delay (you can experiment with the time, but keeping it short is good), with the wet/dry set to 100 percent, and the feedback turned all the way down. 4. As the track is playing, slowly turn up the aux track's output to bring in the ghost delay, until the instrument you’re delaying feels bigger, but not overly wet. In certain songs, it can sound cool to use a delay timed to the host tempo on a rhythm guitar (or other rhythm instrument). You could use a delay on a aux or insert it directly on the track, which is how we'll show it here. 1. 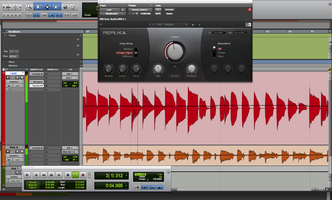 Insert a stereo delay plug-in (a mono-to-stereo instance) on the track you’ll be recording the rhythm guitar on. 2. Dial in a ping-pong delay with a quarter note delay time, synced to the host. 3. Set the wet/dry control to 50%, because you want the delayed chords to sound even in volume with the played chords. 4. Set the feedback so that you get three repeats of each chord (which will give you a total of four quarter notes per measure, including the played chord). You can play around with the rhythmic aspects of your rhythm guitar part. Just be careful about chords overlapping each other due to the delay, which often sounds dissonant. 1. Insert a delay on your guitar track. You can use a mono or stereo (probably ping-pong) delay, depending on the effect you want. 2. 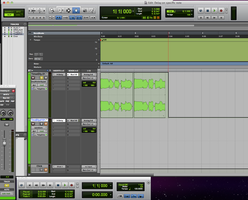 Set the delay time to dotted eighth notes, synced to the host tempo. 3. Set the feedback all the way down. You only want one delay of each note, because it’s supposed to sound like you’re playing the delayed note. 4. For that same reason, set the wet/dry mix to about 50%. 5. Play eighth note passages and you’ll hear that you sound like you’re doing twice as many notes. It’s best to palm mute a little bit, which makes the repeated note sound less "delayed" and more like it was played. Try to play as accurately and consistently as you can, both rhythmically and in your note attacks. Occasionally play a couple of quarter notes, or even some sixteenth notes, to add some rhythmic variety. 6. It’s most effective if you mainly stay in one scale or mode for each chord you’re playing against. Chromatic passing notes generally don’t sound good with this effect.